The Hulon house is an example of a civil war era Greek revival wood-frame plantation house. ​The Jardine cabin was built by James Jardine (sometimes spelled "Jordan") who migrated to Texas from Ireland in 1826 and settled in Jose Vehlein's Colony. 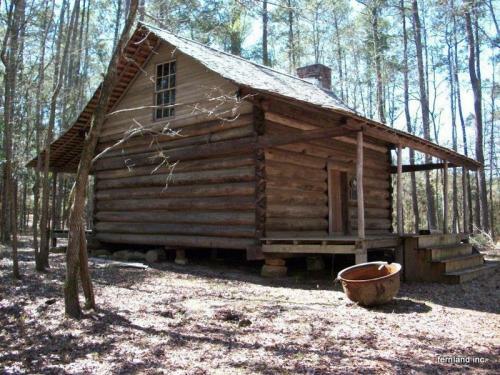 The cabin, one of the oldest extant log structures in Texas, is a typical single pen, story-and-a-half hand hewn log cabin with front and back porches and mud cat chimney. Moved from Walker to Montgomery County in 1976 and restored by B. Carroll and Mae Tharp. 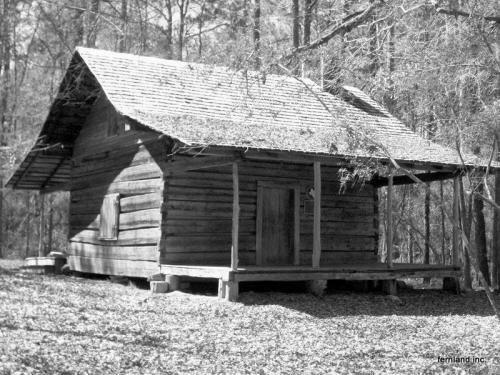 The Crane cabin was built in 1867 in Angelina County by Confederate Civil War veteran Nickolas Crane, who had moved to Texas from Alabama in 1848. The walls are pine logs left rounded on the exterior and hand-adzed for a flat smooth finish on the interior walls. Moved from Angelina to Montgomery County and restored by B. Carroll and Mae Tharp in 1974. The Arnold-Simonton House is one of the oldest houses in Montgomery County. The Greek-revival structure was built in 1845 by Dr. E.J. Arnold. Dr. Arnold moved from Connecticut in the mid-1830s with his wife Rhoda Ann Warner. They settled in Montgomery where they lived in a log house until construction began on this one-story cottage. In 1977, the house was given to the Montgomery Historical Society, moved to a different place on the property, and became the Montgomery City Hall. Now situated as the focal point within Fernland Historical Park, the white house with its dentil trim features a pair of rooms on either side of an enclosed central hall. The rooms share interior double fireplaces, reflecting a Connecticut influence. 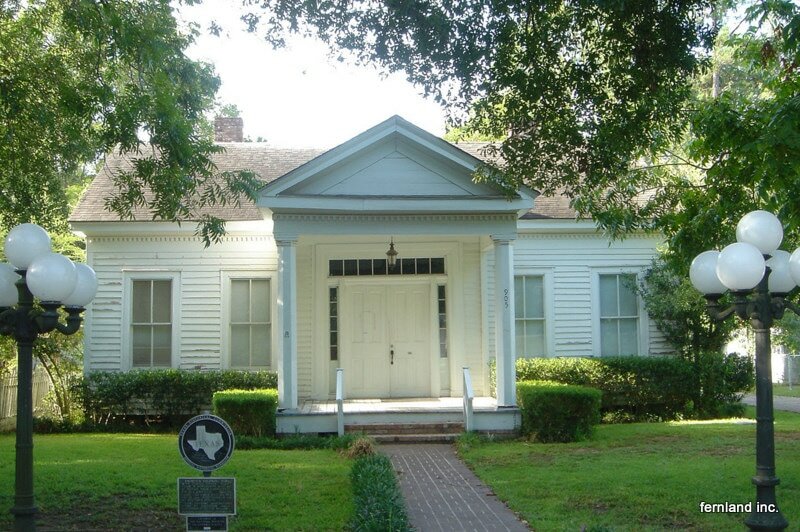 The Arnold-Simonton home was recorded as a Texas Historic Landmark in 1964 and entered in the National Register of Historic Places in 1979.